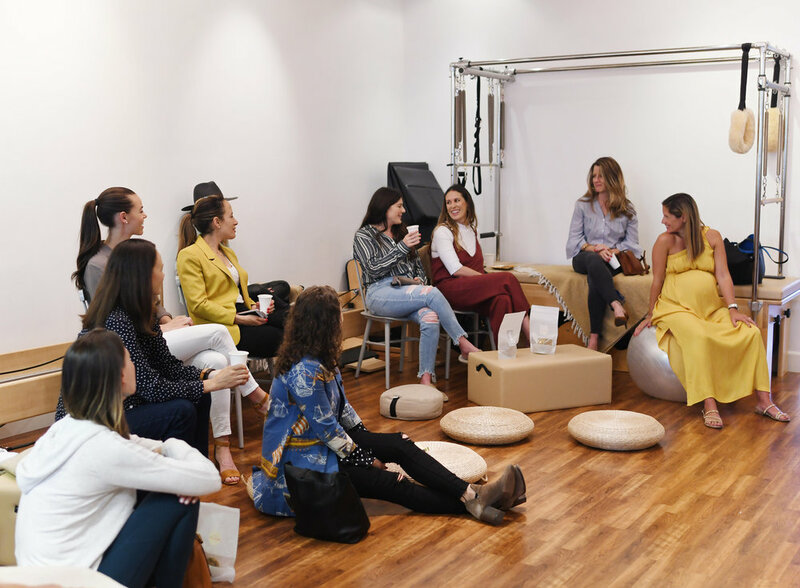 Last month we had an incredible group of women gather in our studio to discuss all things wellness during the postpartum shift. With insight from the postpartum doula Stephanie Matthias, psychological support from Dr. Michelle Glantz and pelvic health from me, participants left with all sorts of new ideas and tools for their own healing journey. The evening was moderated by founder of Totum Women, Erin Erenberg...and we obviously snacked on her delicious lactation cookies all night long. The discussions were productive and supportive, and having so many wonderful women in one room was inspirational. I am looking forward to continuing to host more events like this is the future. A few photos from our event! A huge thank you to Emma Feil for capturing this special day. And for Yumi + Thyme Market Cafe for the delicious food and smoothies!